QantasLink is again making it easier for customers to travel between Cairns and Port Moresby with the return of daily flights between the two cities yesterday. QantasLink has resumed the service after a resurgence in customer demand, offering around 1,000 seats per week on its 74-seat Q400 aircraft. The service, which QantasLink had operated until 2016, complements Qantas’ existing daily services between Brisbane and Port Moresby. 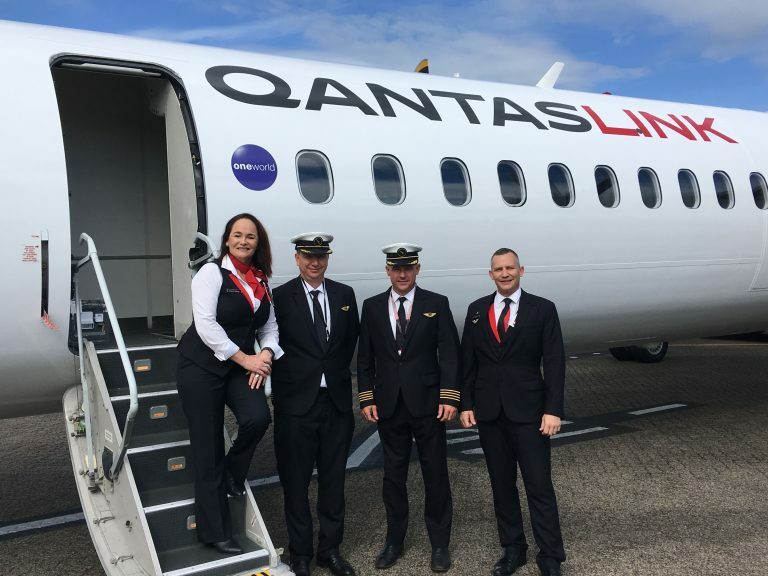 QantasLink CEO John Gissing said the flights were designed to create more travel options for the growing number of customers travelling between Queensland and Papua New Guinea. Mr Richard Yopo, CEO of the National Airports Corporation of Papua New Guinea said “We are delighted to see Qantas expanding the routes from Port Moresby into Australia with this new daily Cairns service”. Cairns Airport welcomed the arrival of the first flight QF192 from Port Moresby yesterday afternoon with a water cannon salute on the tarmac and a celebration at the gate for customers. Flights will depart Cairns at 9:55am arriving in Port Moresby at 11:55am each day. The return flight will depart Port Moresby at 12:30pm, landing back in Cairns at 2:20pm.